Hey there Peeps. Well I’m recovering from a little too much holiday fun and getting myself back to the workday. 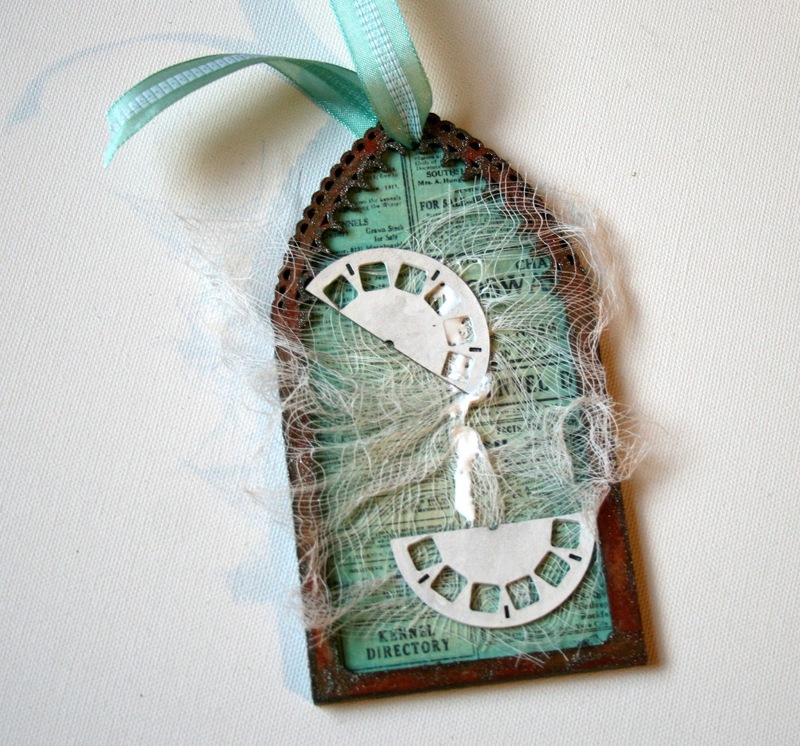 I created this tag tutorial with lots of lovely chippies and some mixed medias and ribbon and flowers. 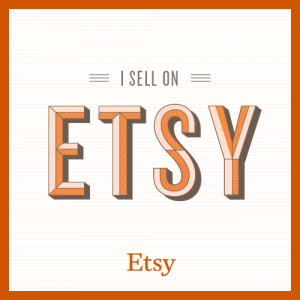 Please enjoy this tutorial I’ve created so you can create a tag just like this for yourself…. Nice Selection of Chippies. 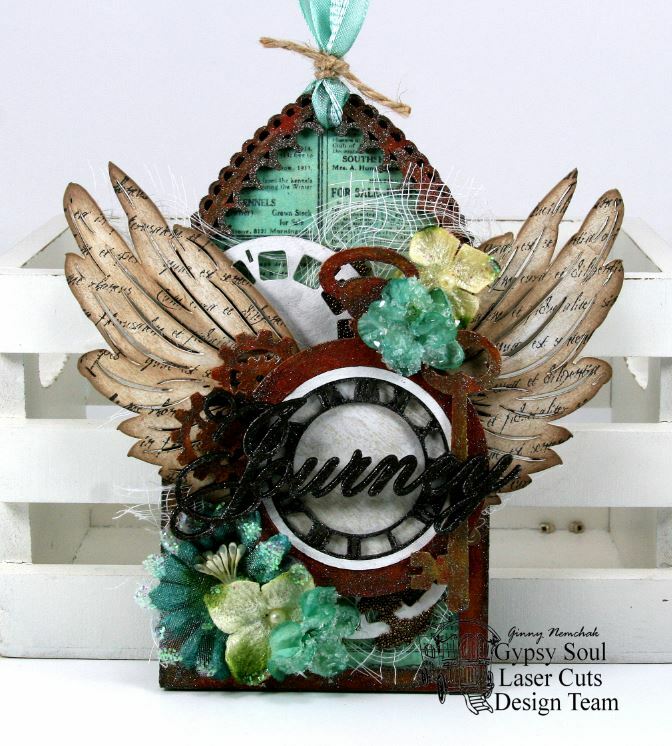 Steampunk 2 Shape Set, Triptych – Arch Top, Wings Assortment, and Photo Reels, Journey Wooden Charm. Prepare all pieces except the wood charm with a white base coat. 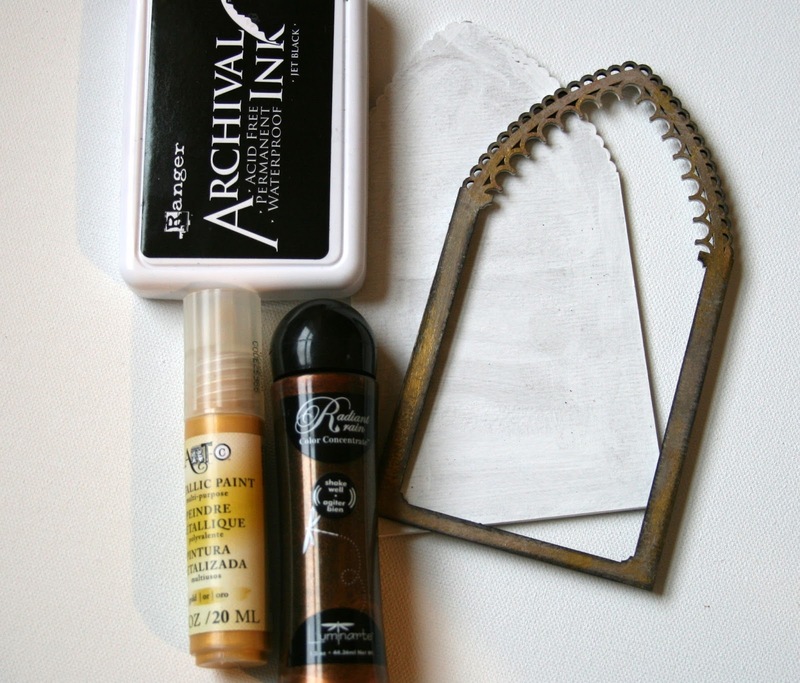 Begin layering on an additional base coat with gold paint, copper paint and black archival ink. 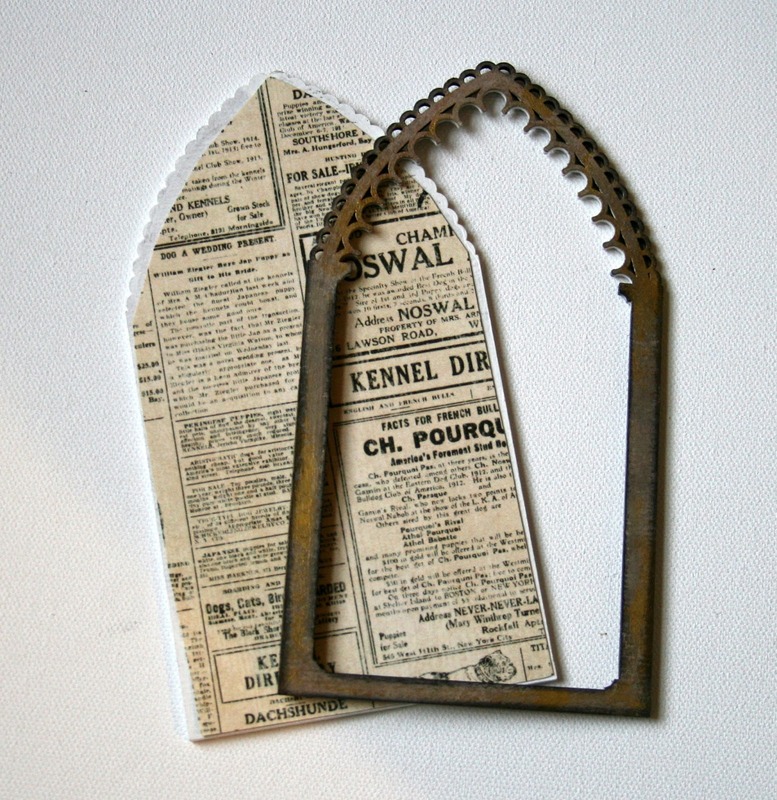 Add newspaper patterned paper to the back of the arch. 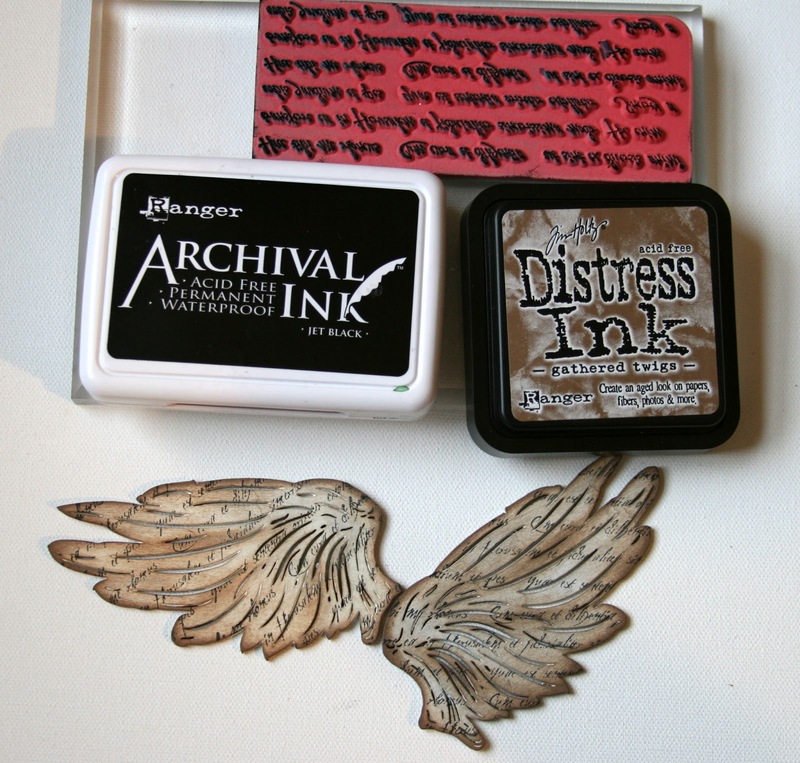 Add shading and contouring to the wings with Distress Ink. Layer on pattern with text stamp and black ink. Color back of arch with multiple shades of Gelatos. Blend well. Coat remaining pieces with gold paint. Allow to dry. Add copper colored texture paint being aware of leaving some parts thick and some thin. 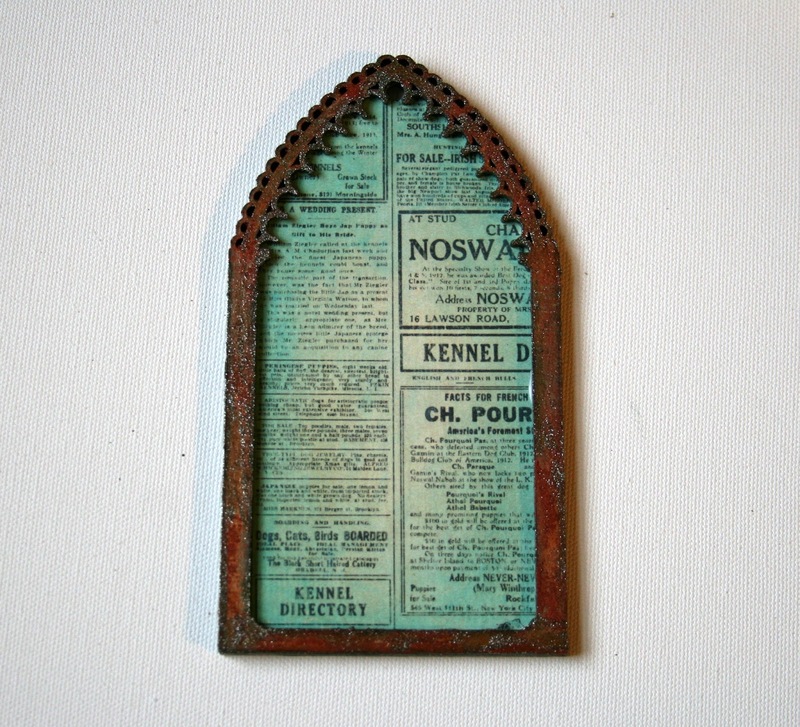 Once dry dab sections with Steel Luxe paint. Secure top of arch to base. With glue secure a tattered piece of cheesecloth. Clip Photo Reel in half and add to arch. 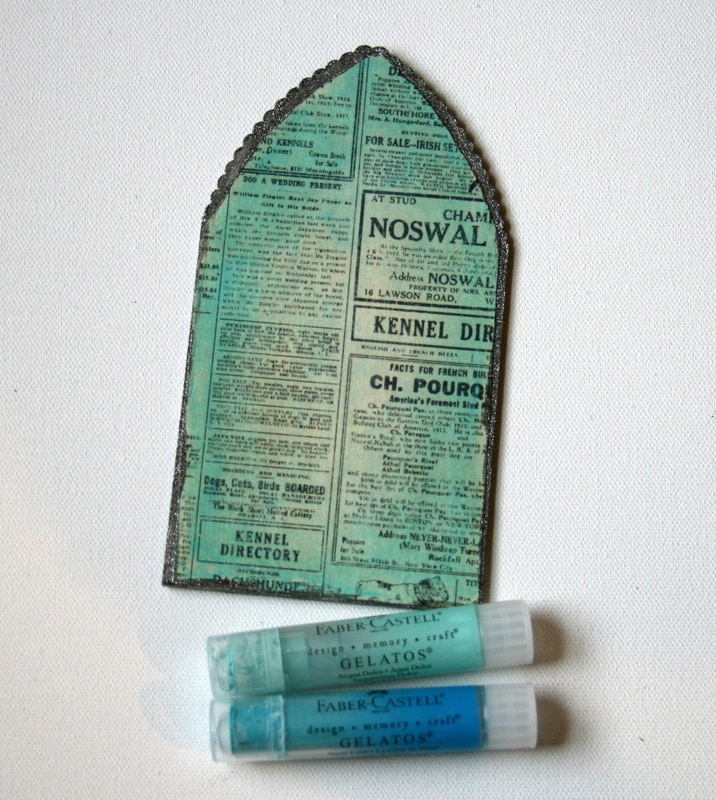 Sprinkle Micro Beads onto any glue still showing. Secure wings with middles touching. 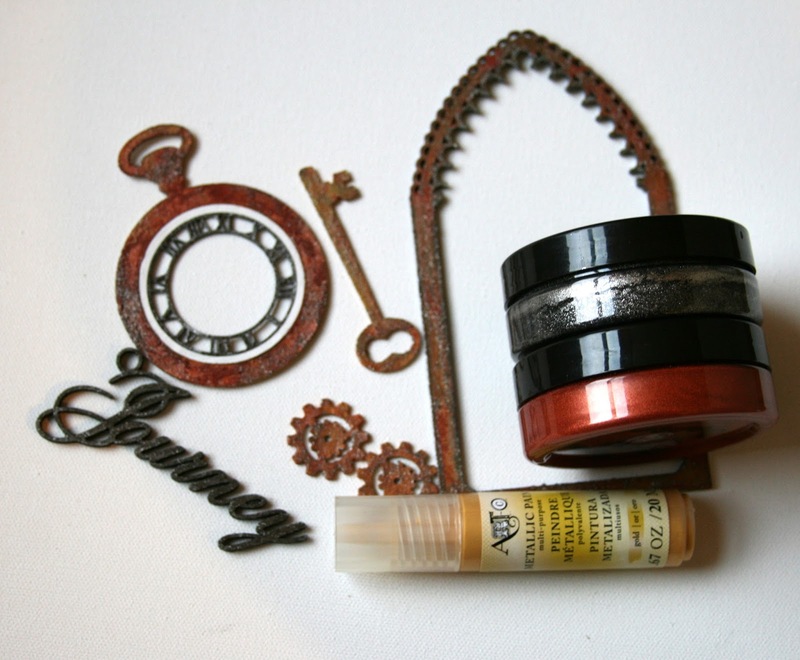 Layer on pocket watch, gears and key. Add a variety of flowers in coordinating colors. 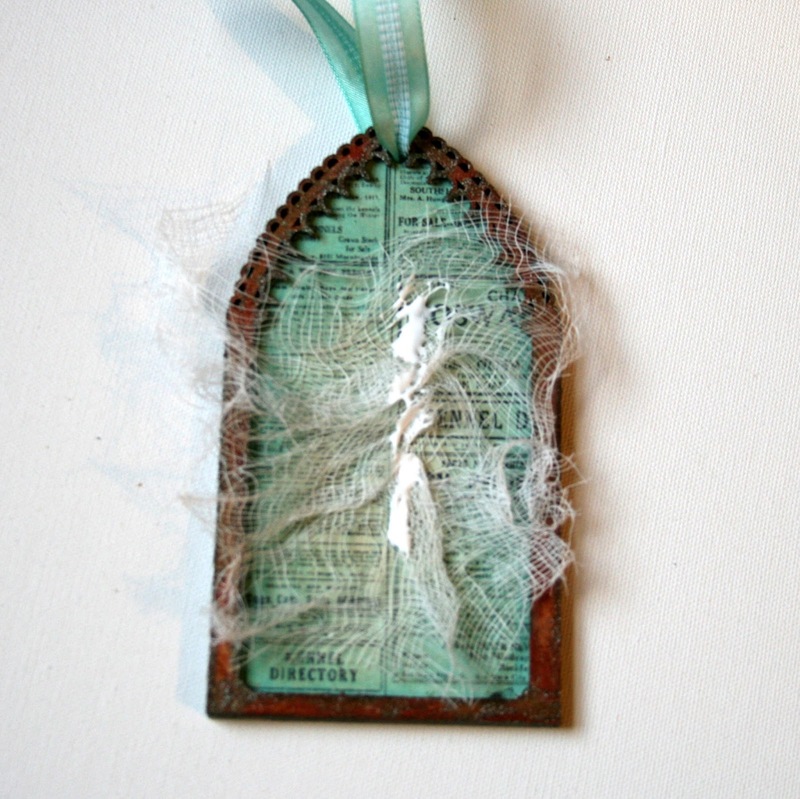 Finish tag with wood charm sentiment and tie off ribbon trim with twine. Hey there Peeps! Dropping in to share a project that was really inspired by how I could use my Fabulous Spectrum Noir Markers to alter and customize embellishments and trim. I colored on pretty much everything I could get my hands on and the results were amazing. I used a nice variety of stamps from Crafter’s Companion to create a great background and focal images then had a good ol time coloring my embellishments to create a mixed media inspired card. These paper flowers and ribbon trims were tinted with the markers. I also added some inking and glitter to the edges of the largest anchor flower to give it a little extra oomph since it’s the focal flower. The pearly accents took the marker really well which surprised me because I was expecting it to smudge off….but it didn’t yay!! The flowers for this small arrangement were actually white poinsettia Christmas stem flowers….they colored just fine….but the marker did soak through so if you try this…please work over layers of paper towel to absorb the excess. I’m quite pleased with the outcome of this experiment…I’ll definitely consider altering my embellishments from now to customize them for my projects! Flowers, Ribbon, Pearls OR1 Wild Orchid Crafts Open Roses, English Roses, Gardinia, Ivory Wrinkle Ribbon, Double Ruffle, Chevron Striped Twill. 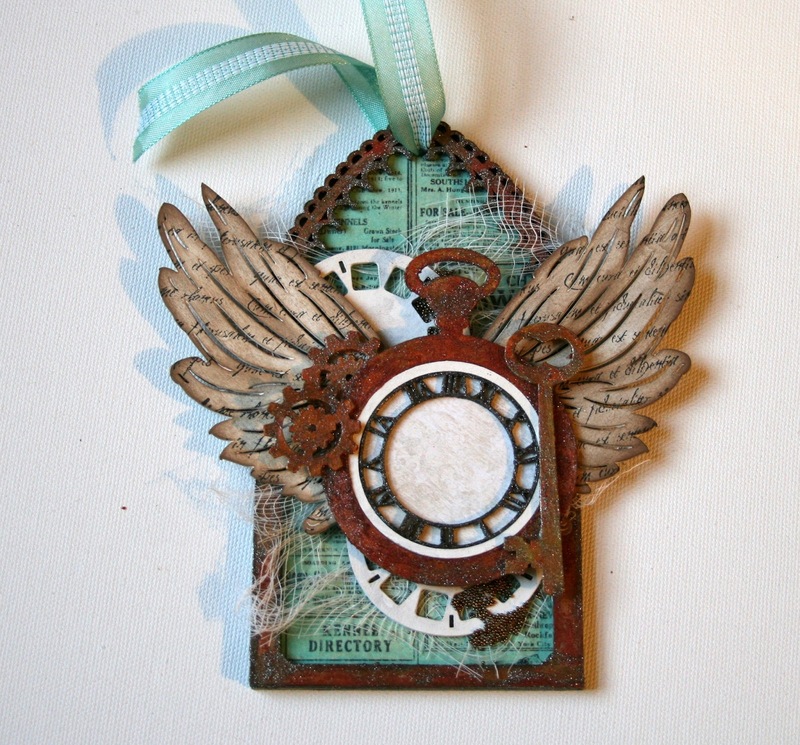 I love the gorgeous patterns and images from Steampunk Debutante. I was inspired to create a card with hot air balloons and layer on as many of the yummy patterns as I could. 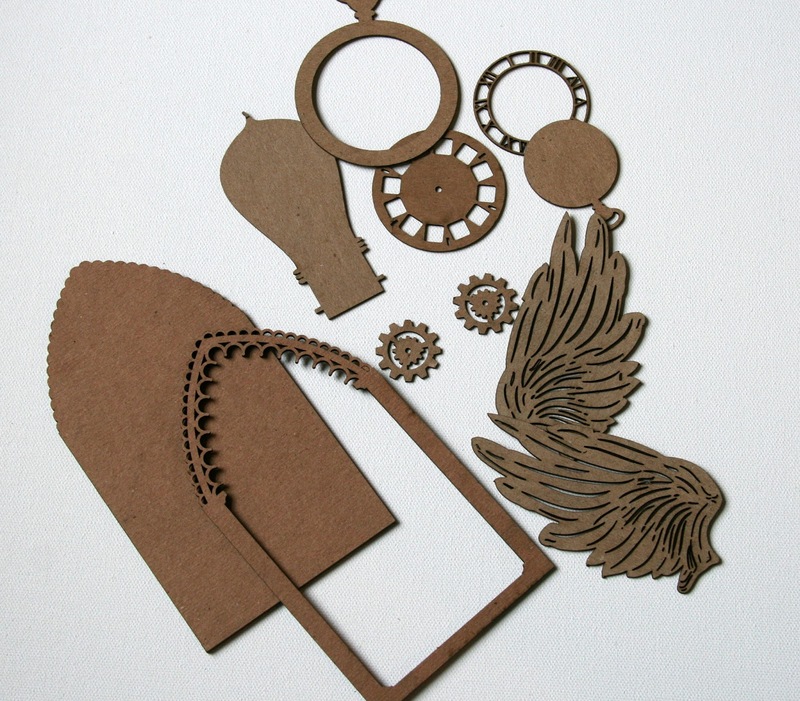 There’s also chunky chipboard pieces, metal and flowers. I’m using dark solid borders to keep the patterns from being too busy. Hey there Peeps! 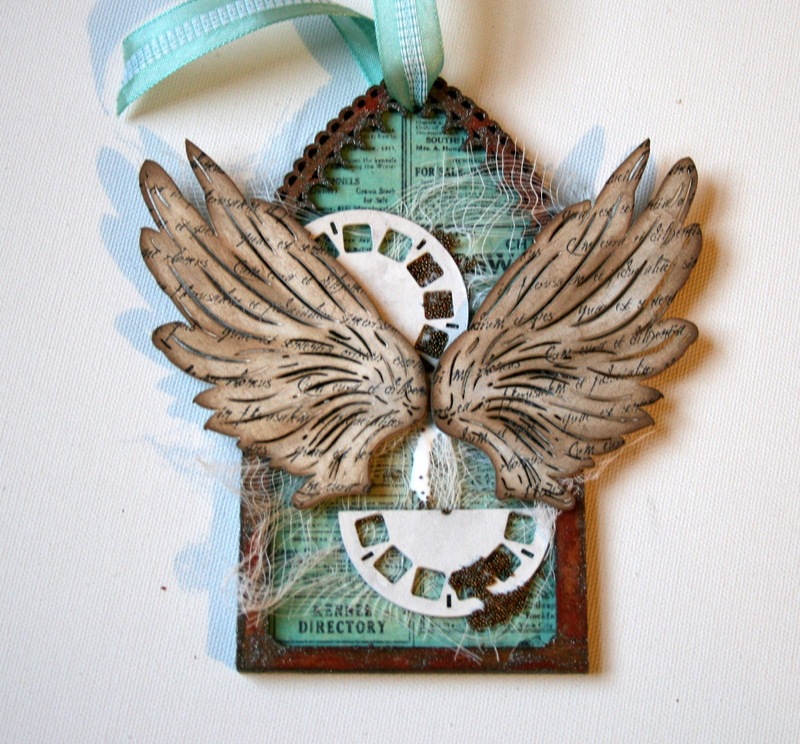 Just dropping in to share a mixed media tag I created that was part of the selection made for the HSN National Craft Day Show Special for Crafter’s Companion. Let me tell you it was a real thrill to see my projects on tv and thanks to some awesome friends they captured them in screen shots. 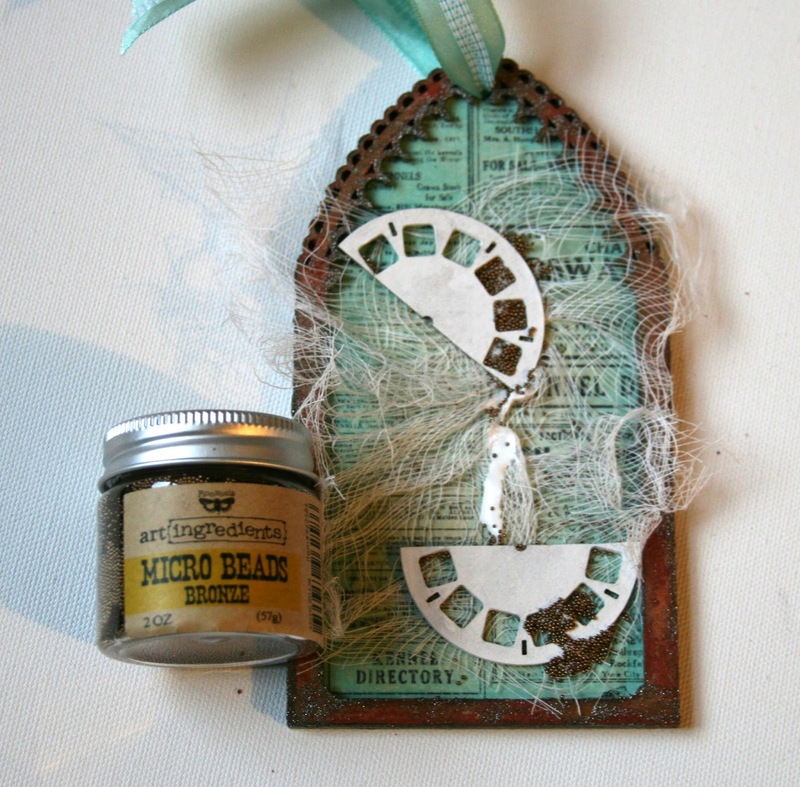 My first project is a Mixed Media Tag with an Indian flair…. Hey there Peeps! 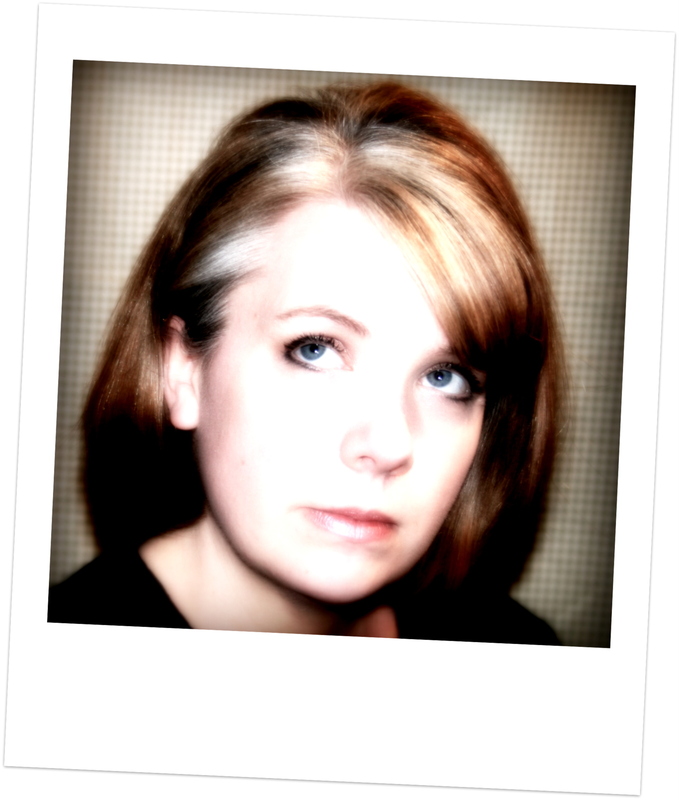 Ginny here and I’ve got two sweet and vintagy tags to share. I’m using Graphic 45 Once Upon a Springtime patterned papers and ribbon trims to join the gorgeous chipboard Eggs and scribble frame. A few dimensional flowers and these tags are ready to decorate the house for the holiday. 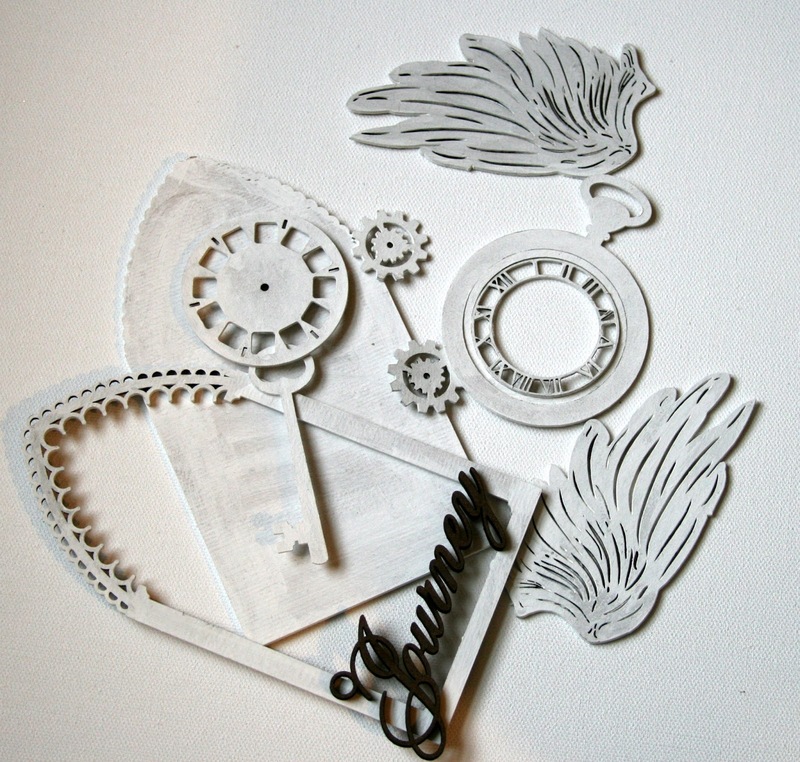 Gypsy Soul laser Cuts~Decorative Eggs, Scribble Frames Hearts & Flowers. 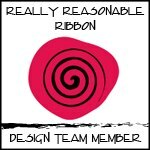 Really Reasonable Ribbon~Green Plaid, Yellow Chevron Striped Twill, Ivory Open Roses, Pale Yellow Sweetheart Blossoms. Graphic 45 ~Once Upon a Springtime. Happy day 4 of the Graphic 45 and May Arts Blog Hop! I’m dropping in to share some decorated Policy Envelopes from the New G45 Staples. I am so in love with A Ladies Diary. Everything about it is shabby and vintagy and gorgeous. I chose to make 2 complimentary decorated policy envelopes for this hop with May Arts to show how simply changing the color scheme for similar cards can give you two great looks. Add coordinating bows and voila…..perfection! Hey there Peeps! Well it’s a very exciting day for me. I’m guest designing this month at Frilly and Funkie and I’m sharing my project I created for their Hip To Be Square Challenge. 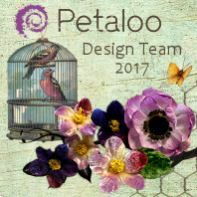 The designers there are always such an inspiration to me and it’s a real honor to get to join them this month. Okay on to the challenge. Hip To Be Square is the theme and we’re to incorporate squares of course and also be hippie inspired and have the colors of the 60’s and 70’s . 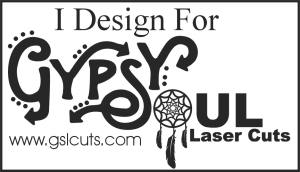 This project was really a combination of all the things that came to mind for a “Hip To Be Square” hippie theme. Owls of course are a classic retro icon. I created mine with a layering of retro patterned papers and assembled with spacers between the layers for depth. Just to be cheeky I added a tiny handcrafted pair of glasses to make my owl a real” square”. I used a variety of retro inspired chipboard pieces colored in the essential burnt orange and avocados which adds graphic detail and great pops of color. I gave my owl a little home in a recycled stamp carton to create a shadow box effect and attached it to a MDF board covered in some really groovy printed paper. Last but not least…..coordinating flowers because all 70’s hippies were flower child’s right? This project was really a walk on the “Funky” side for me….but I love how it turned out!!! Maybe I have an inner flower child waiting to come out???? 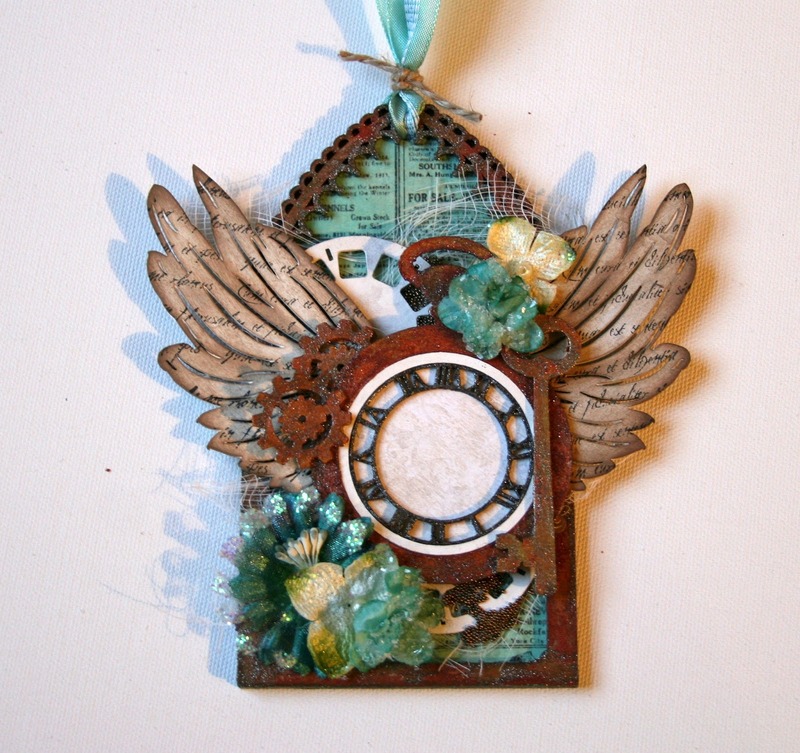 Gypsy Soul Chipboard~Mixed Media Fragments Retro, Window Panel 4 Square. Additional supplies~Craft Smart Paint-Citron, Americana Paint-Jack ‘o Lantern,FolkArt-Artist’s Pigment-Burnt Umber.Faber Castell Big Brush Pen-Nougat & Black. Okay now it’s your turn to create a Hip to Be Square Project and link up with us to play along at Frilly and Funkie.